The Kanger Cupti is an all-in-one device which is designed for both mouth to lung and direct lung vapers. With 5ml liquid capacity, the Kanger Cupti redesign the leak resistant system to help minimize leaking. Up to 75 watts output, it allows to enjoy vaping in various temperature control modes(Nickel 200, Titanium, NiChrome, and Stainless Steel). 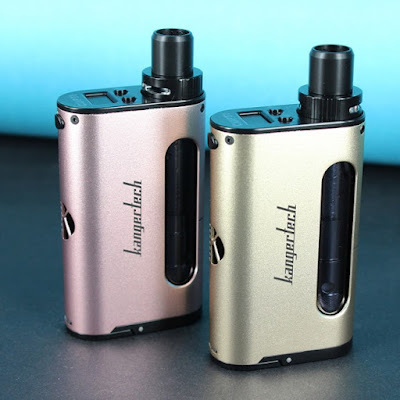 Now the two of new colors Kanger Cupti Starter Kit are available, champagne and rose gold, which one would you like to try? Buy 100% authentic at kanger.info.